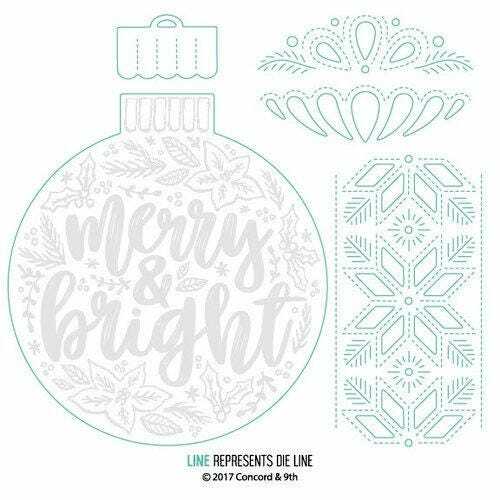 You have so many creative options for your Christmas crafts with the Ornamental Dies by Concord 9th. Included in the set are 5 thin metal dies that range in size from 1.25" x .75" to 3.875" x 4.25". The dies are compatible with most die cutting machines and coordinate with the Ornamental Stamp Set all are sold separately.